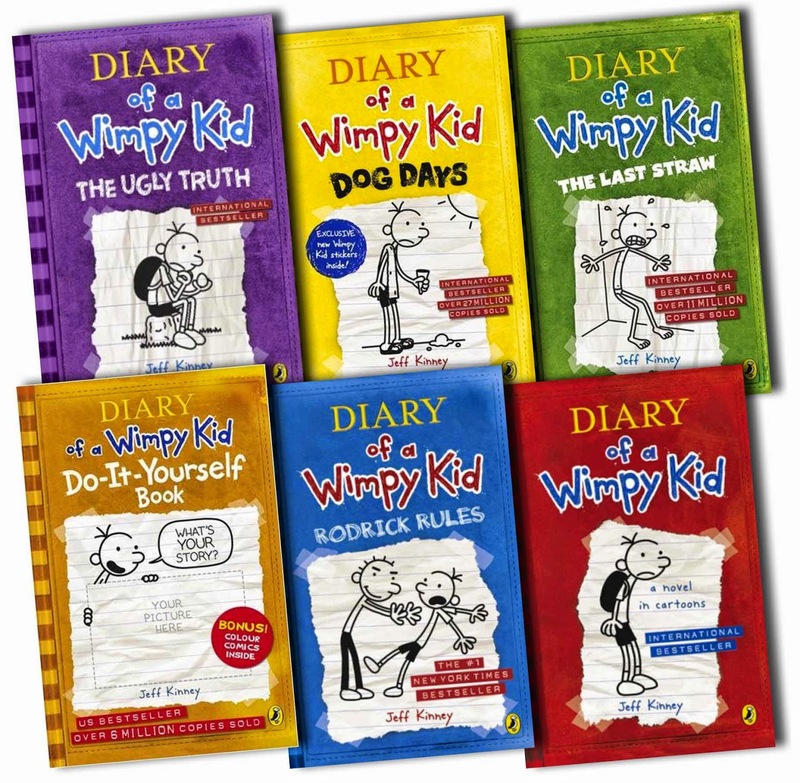 In April, I decided to reread some of my favorite series, including Diary of a Wimpy Kid by Jeff Kinney. There are 9 books in the series, and the tenth one is coming out in November. This series about a boy named Greg and his life. Bad things are always happening to Greg, but Greg thinks of himself as majorly awesome. In one of the books, Greg was signed up for a play that he didn't want to act in. Everything ends up in a disaster and he has to be a singing tree. 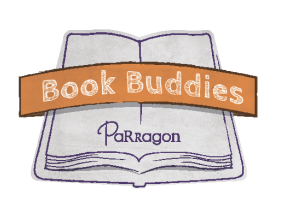 In another book, Greg gets a dog, but the dog sleeps in his bed and only likes his mom! And, in another, his little brother gets a pig. Greg gets bit by it and has to go to the vet. 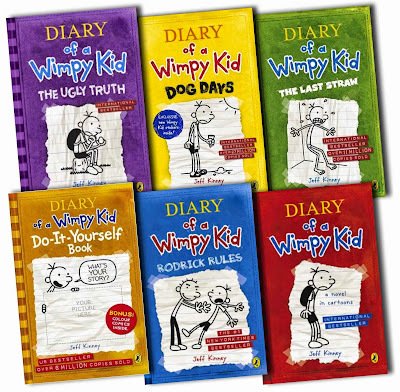 I really like these books because they are a funny way to tell Greg's life story. I think that you can picture what happens in these books actually happening in real life. I like how they write it in a journal type format instead of regular chapters. One of my favorite parts of the books is the illustrations because they really bring out the story. 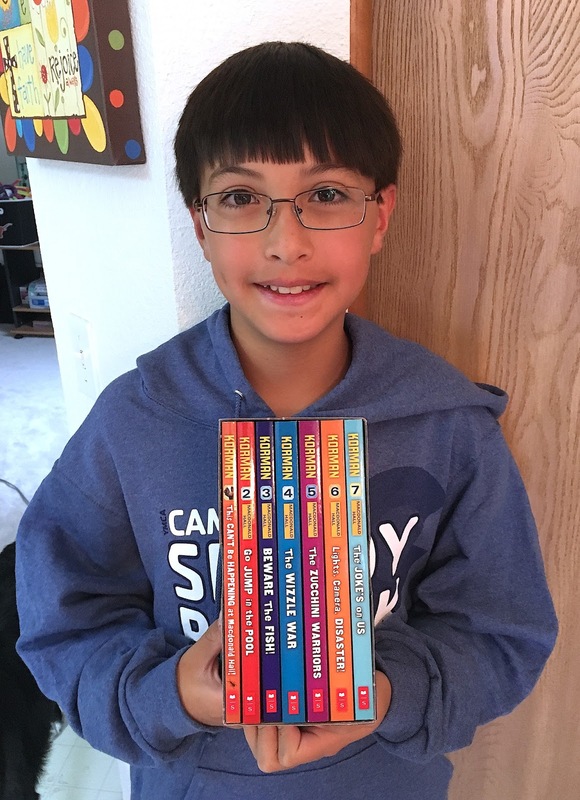 Kids who like funny stories would like this series.